Bangladesh is a prosperous country in south Asia which is sandwiched between Indian Territory primarily because it has been an Indian state in the past. It has been fringed with Indian Territory at two sides and Burma at one. The fourth side at south is dipped in the north of Bay of Bengal because of which it boasts a 710 km elegant coastline. The country is eminent as a riverine nation as it lies within the broad delta formed by the convergence of the three rivers – Ganges, Meghna and Brahmaputra. With close proximity to the Bay of Bengal and being the river country, Bangladesh, is subject to annual flooding. The lands are extensively flat and low-lying which also leads to flooding. Floods are not the only natural disaster that Bangladesh is affected with as the country has been affected with terrible cyclones in the past. The cyclones occur on average of 16 times a decade. The elegant coast has been surrounded with deep woods where the alluvial soil is prevalent. Madhupur Tract and The Barind are the two oldest alluvial terraces of the country. These eroded remnants attain an elevation of approximately 30 meters. These areas are less fertile than other regions of the country which is extensively fertile as the alluvial soil is deposited by the floods and replenish the alluvium of the surrounding floodplains annually. 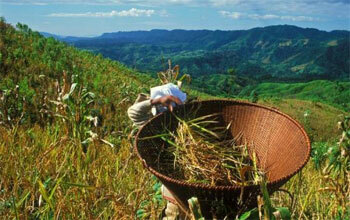 Chittagong Hill Tracts - a section of the hilly terrain which constitutes around 1/10 of the country remains non-fertile. 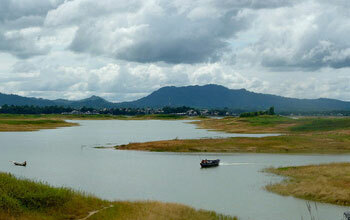 Apart from these hilly tracts, Bangladesh comprises its highest peak - Mowdok Mual at the boundaries that touches Burma. There are some small hills too that borders with India. Being a tropical country Bangladesh boasts a tropical monsoon climate which showcases a significant amount of seasonal rainfall with high humidity and high temperature at certain time periods. It is fringed by Indian Territory with 4,053 km, 193 km with Myanmar, Burma and a coastline of 580 km with the Bay of Bengal. Bangladesh is a Muslim dominated country with a fairly significant about of Hindu Bengalese, Buddhist and Christians. Bengali is the official language. However, English is fairly used in official work but not entitle as the official language. Bangladesh boasts a tropical monsoon-type climate. The summers here are hot and rainy with high humidity whereas the winters are fairly dry.